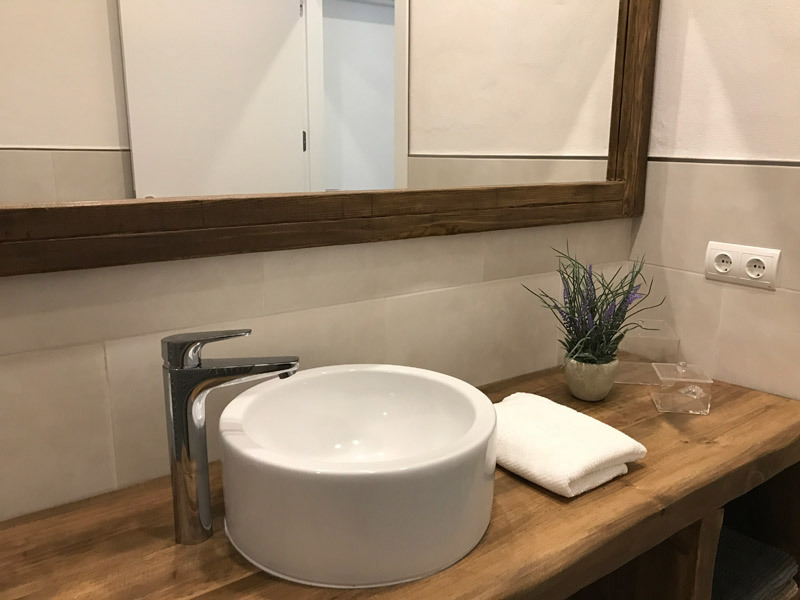 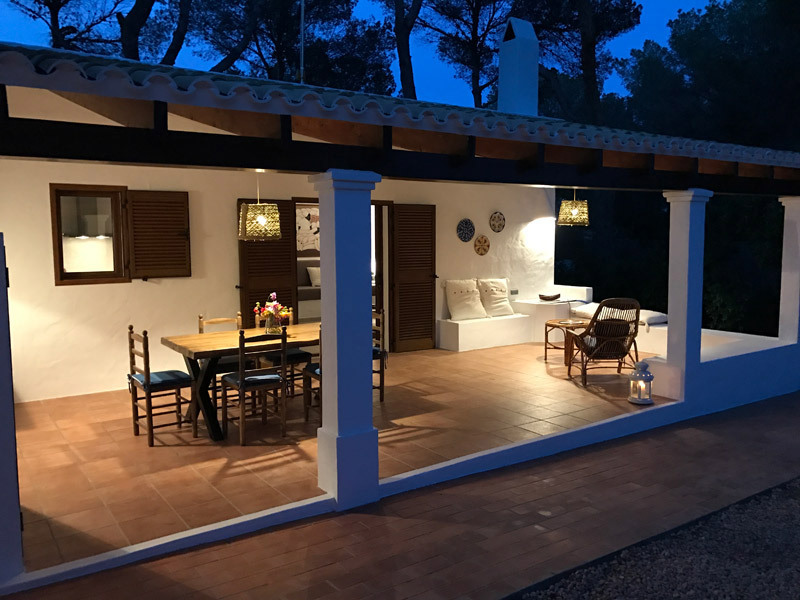 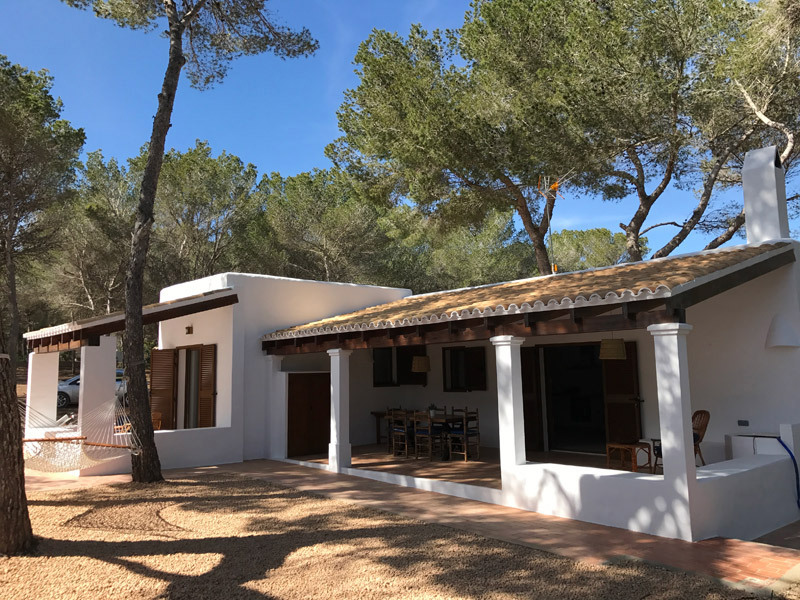 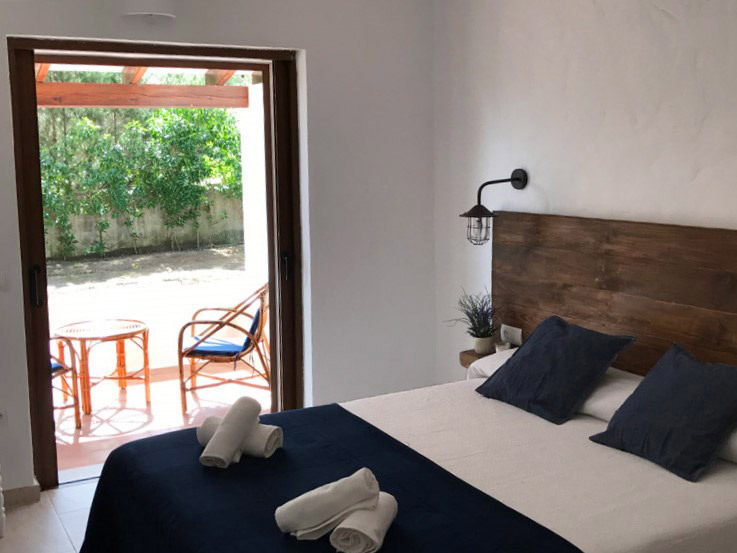 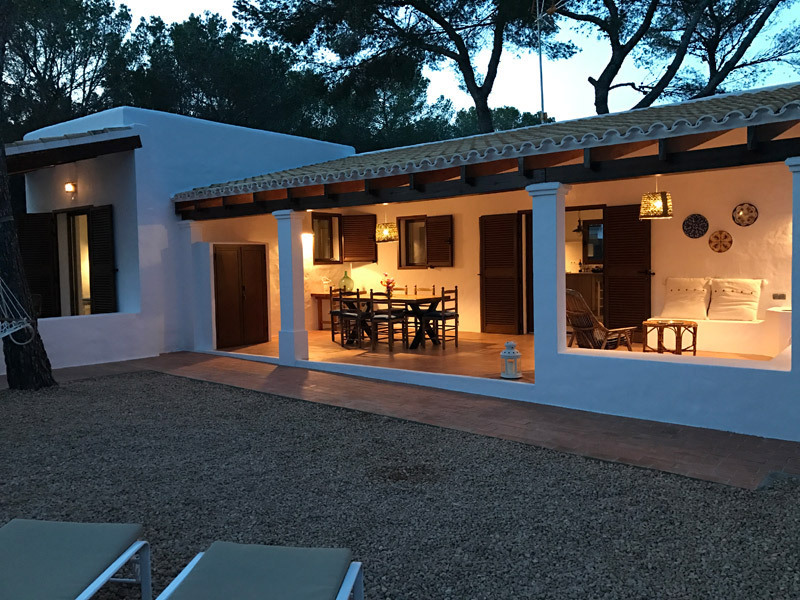 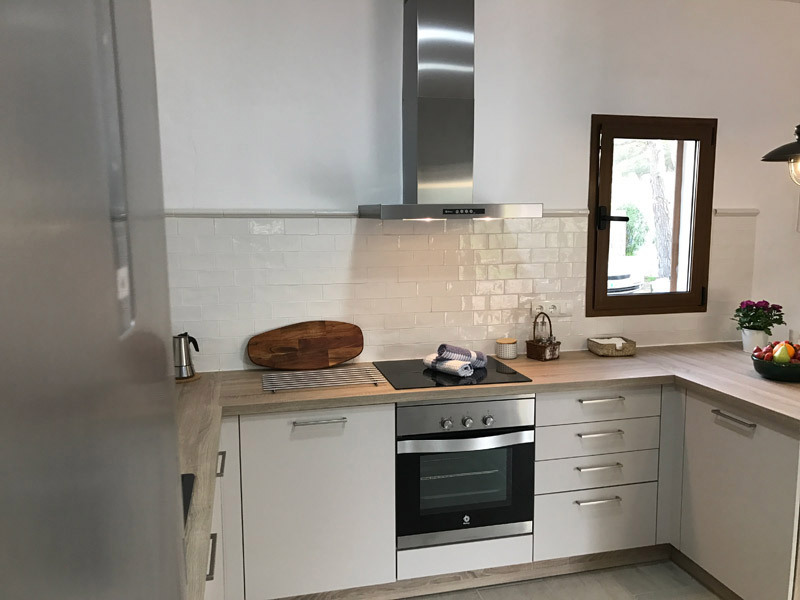 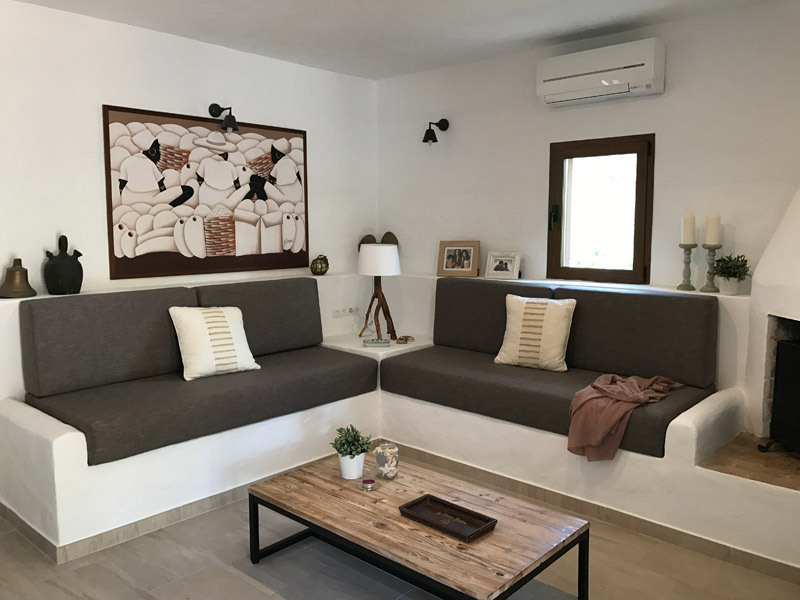 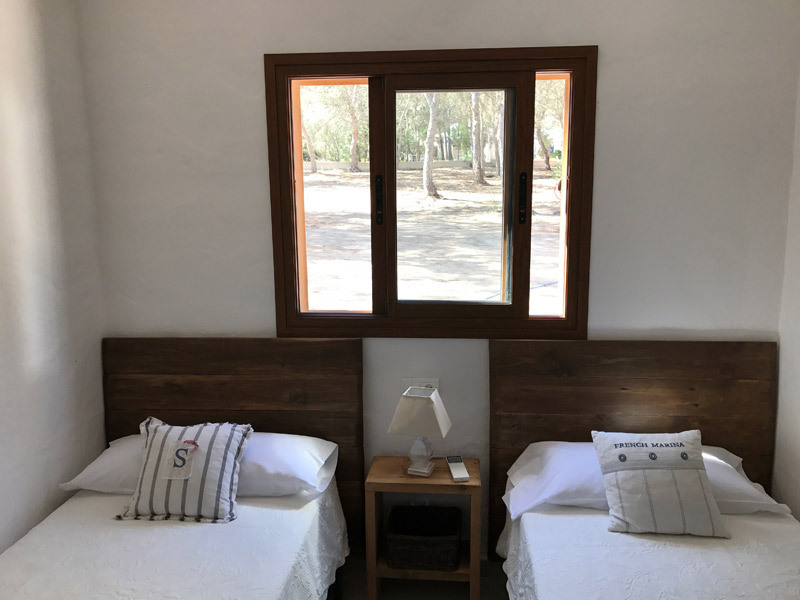 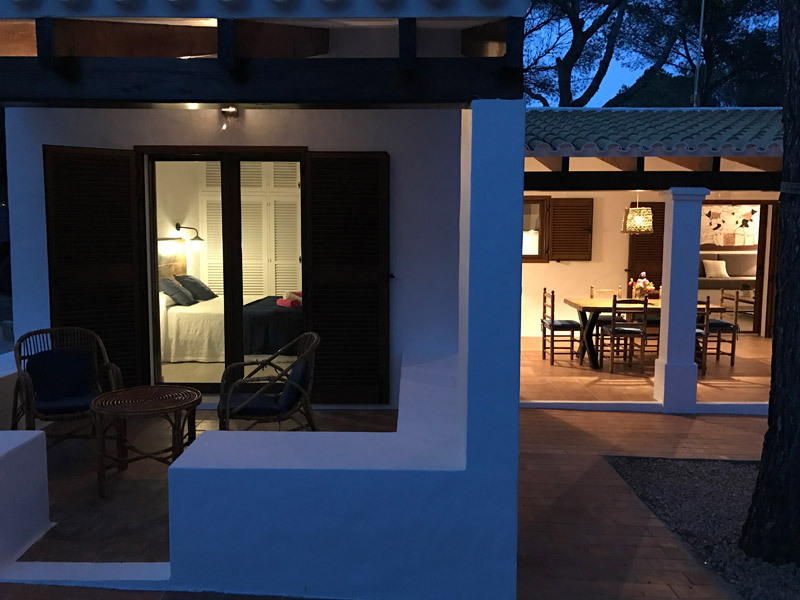 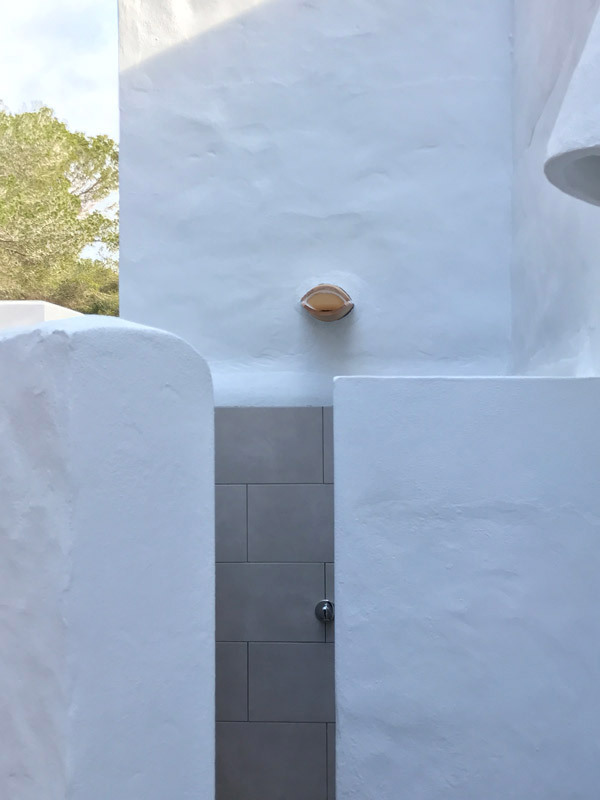 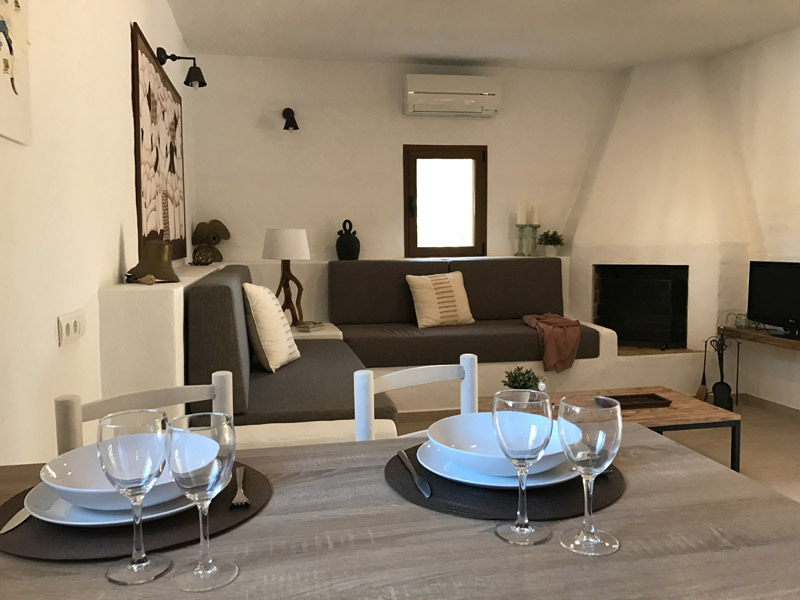 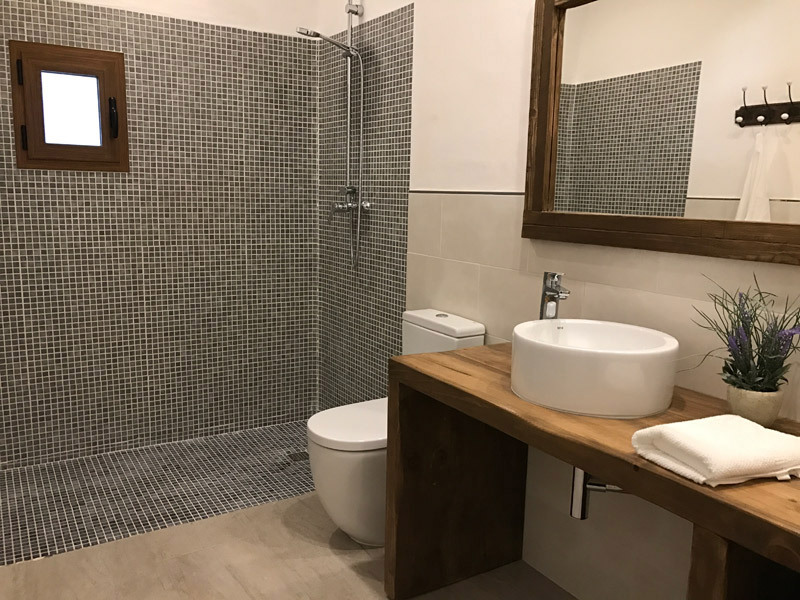 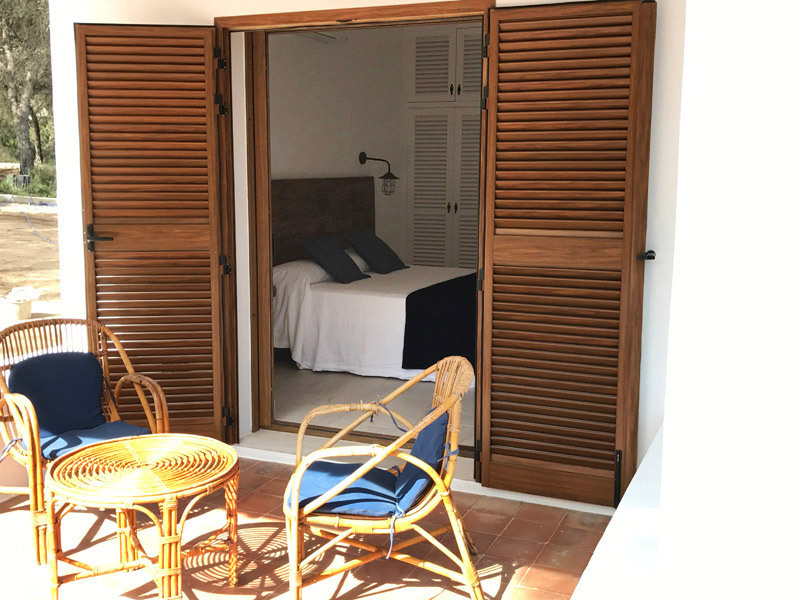 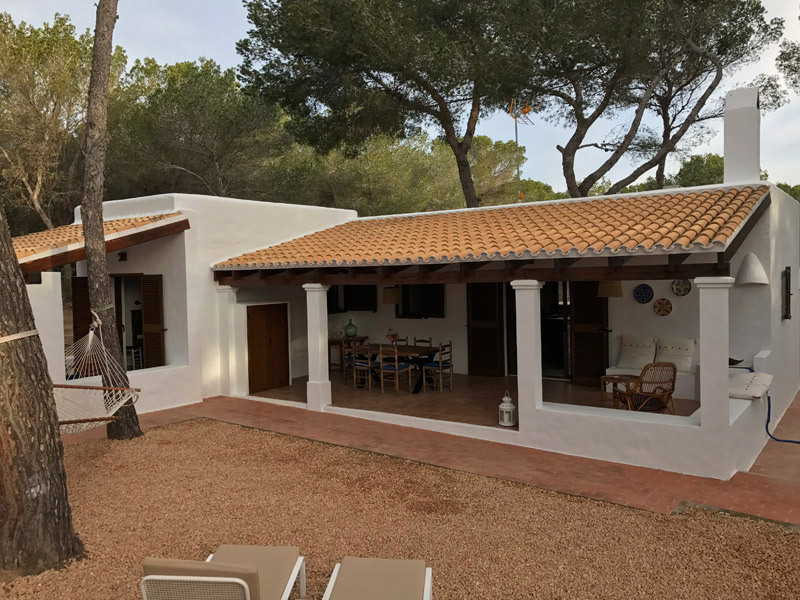 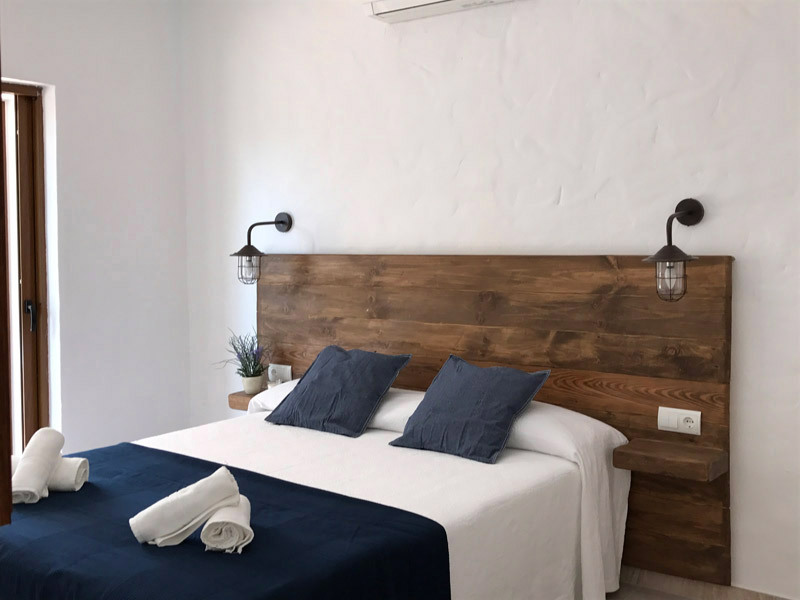 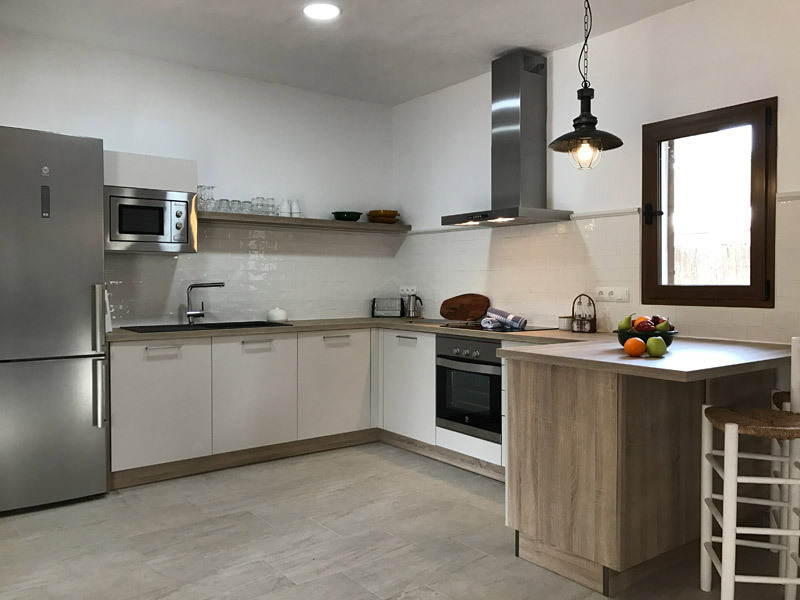 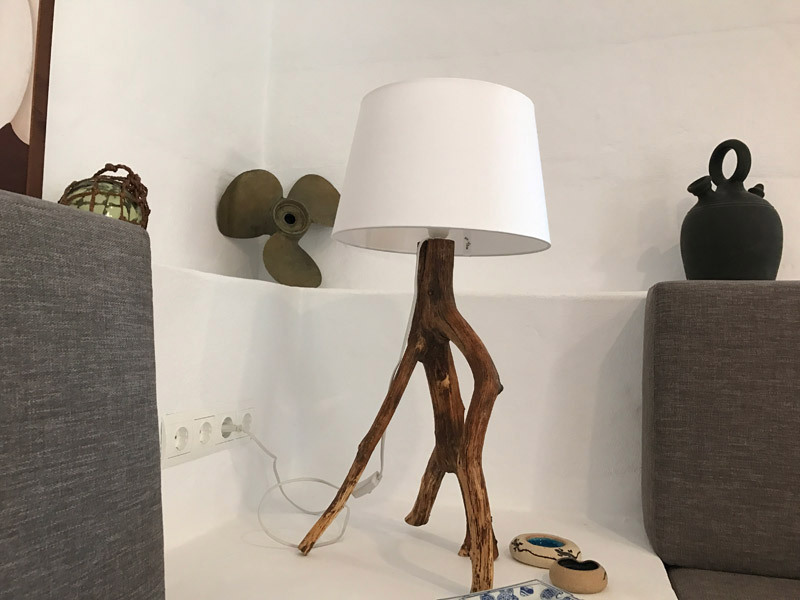 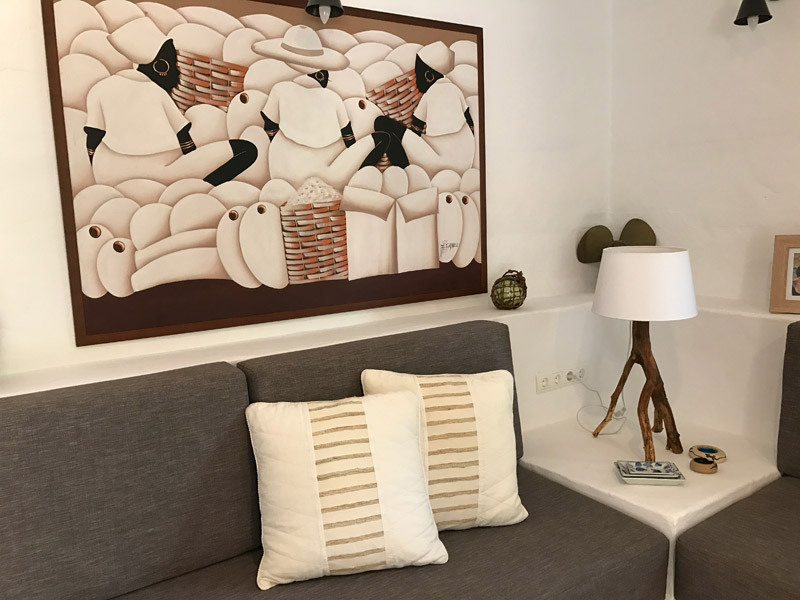 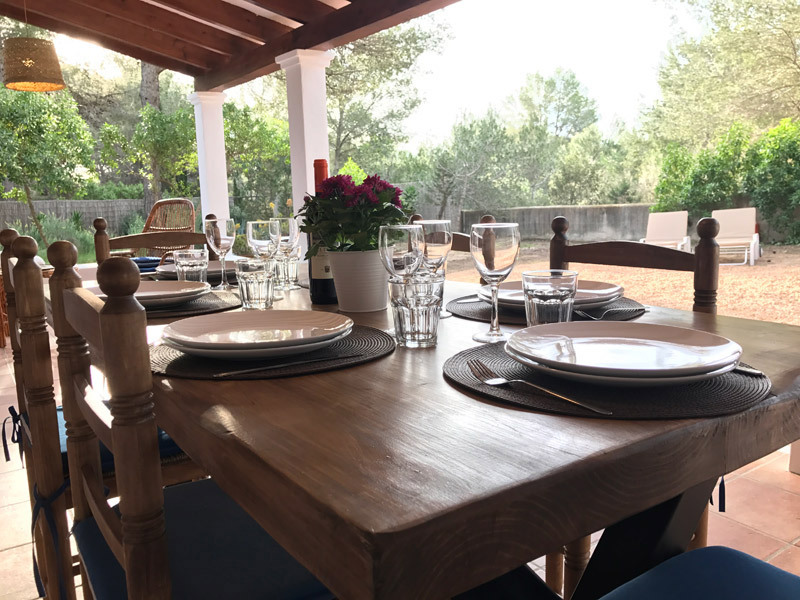 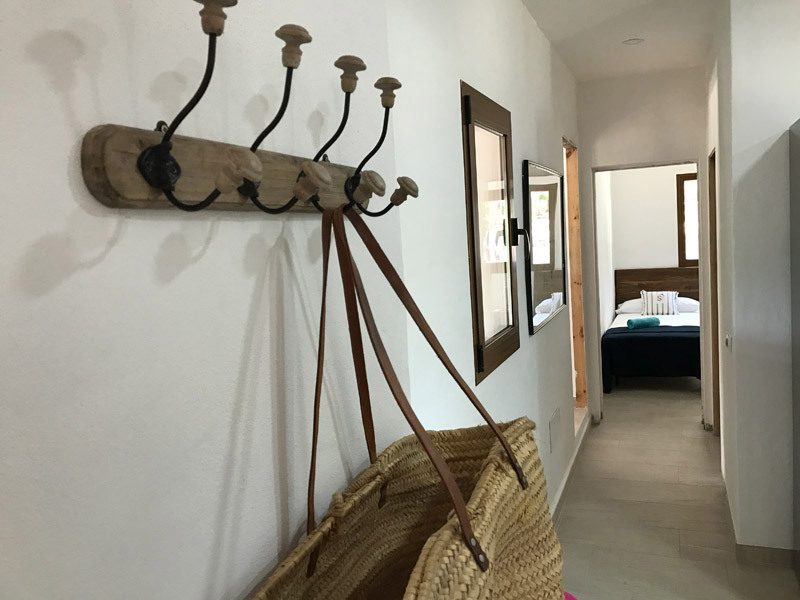 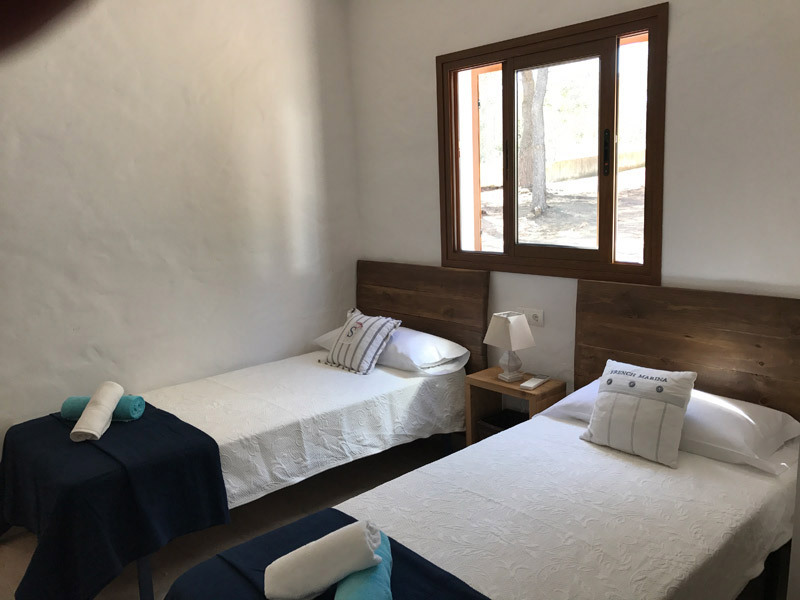 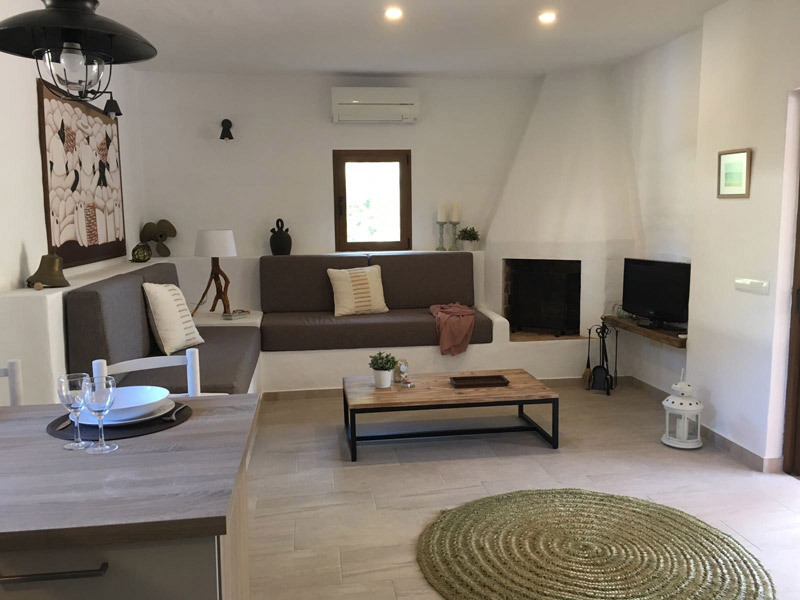 Cozy house completely remodelated in 2017, with capacity for 5 people, located in a 2000 mts2 country property, in a quiet area 150 mts from the Beach and 5 minutes from Sant Francesc. 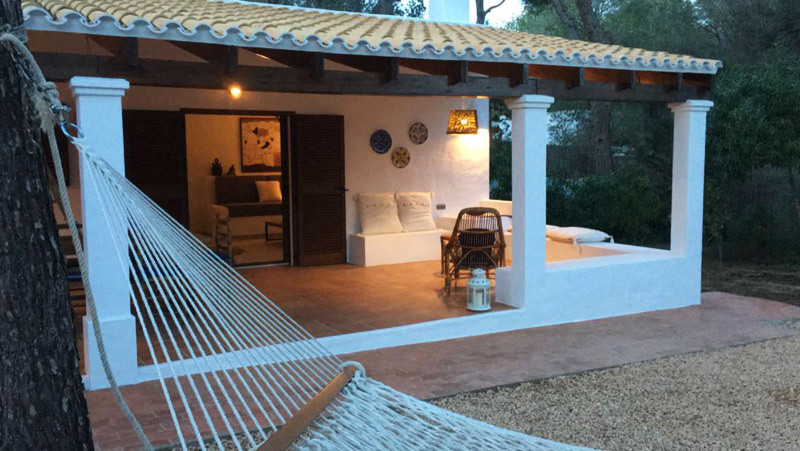 Perfect for family and friends resting. 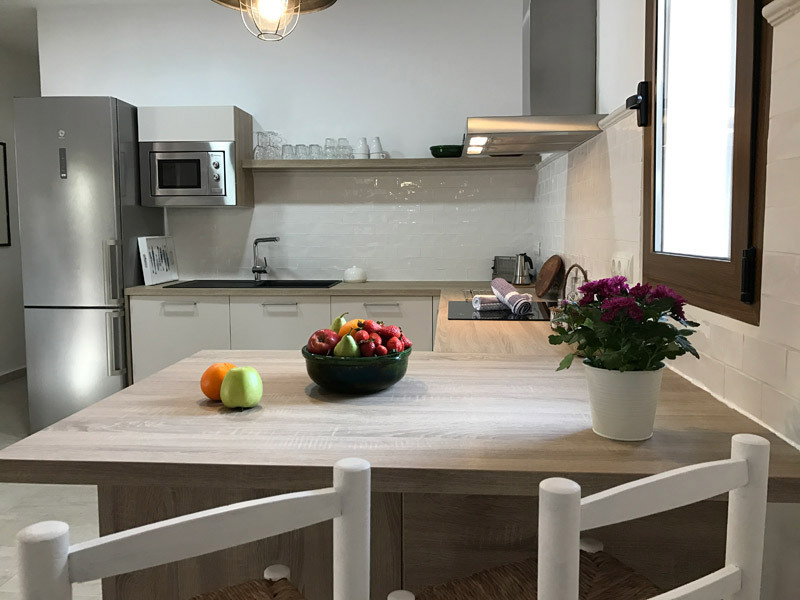 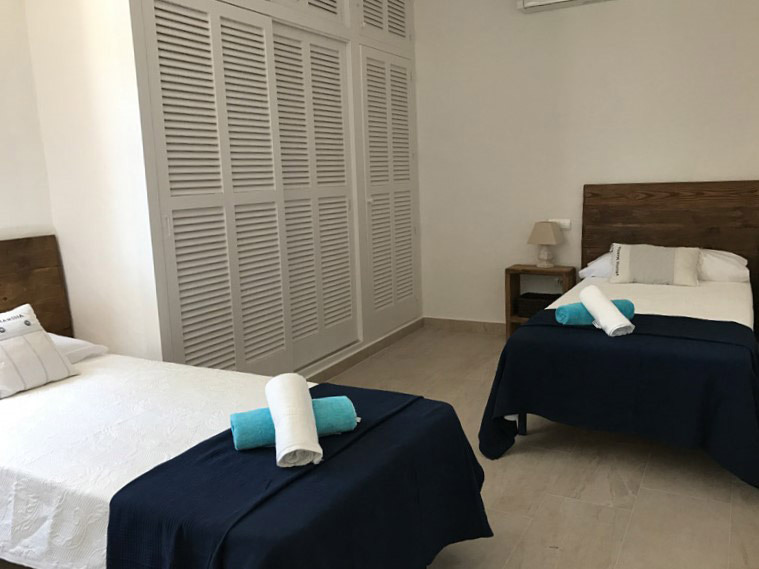 The house has two rooms, one with a double bed and a private terrace and the other with three single beds and safety case, living dining room, bathroom, full equipated kitchen with dishwasher, oven, microwave and complete menage, and a big terrace. 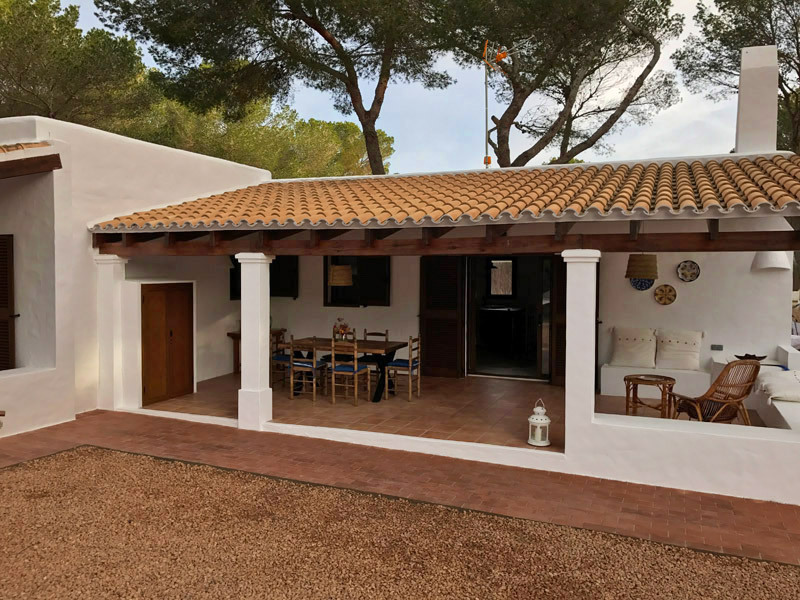 It also has large porchs, outer shower and a private garden. 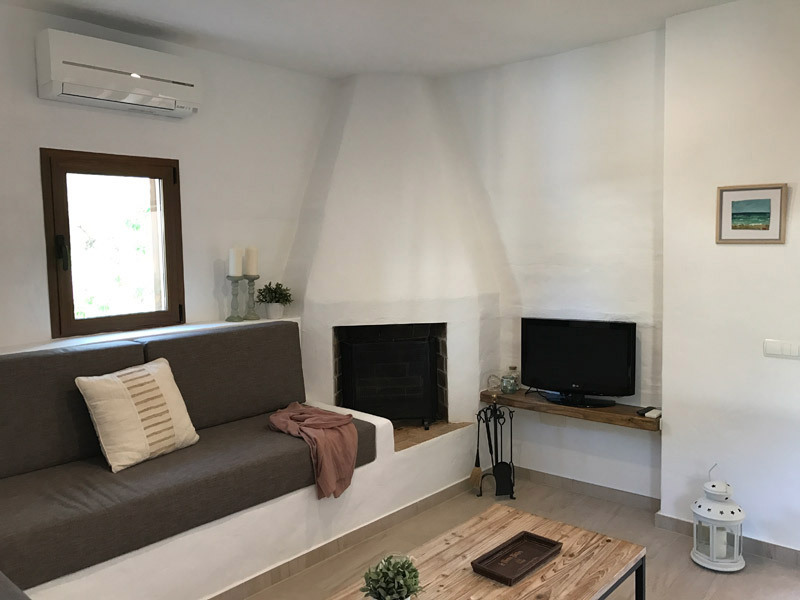 The house has too WIFI, air conditioning, washing machine and a private parking.